Nothing says cold weather like a steaming bowl of chili. The spicy aroma of a bubbling pot of chili just reminds me of frost on the ground and a cold, crisp winter day. Oh yeah, and it makes my stomach growl. 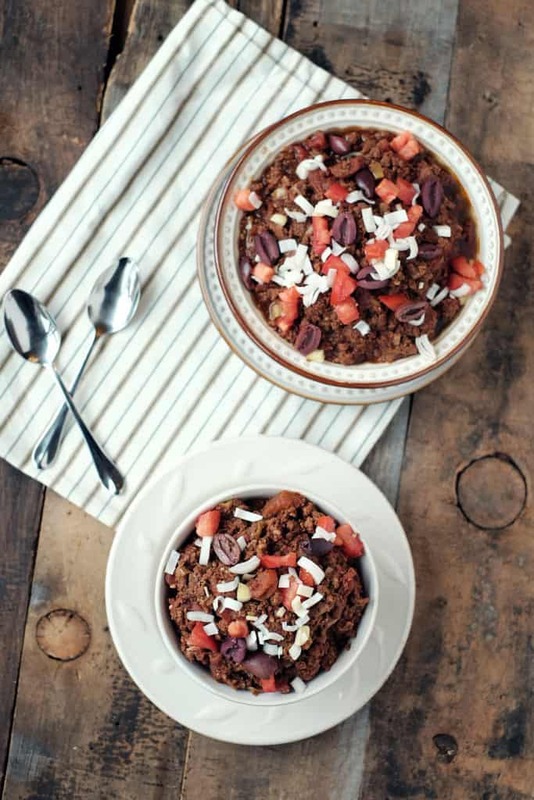 Since the weather is starting to get a little colder, how about making up a big batch of this paleo elk chili to warm you up from the inside out? 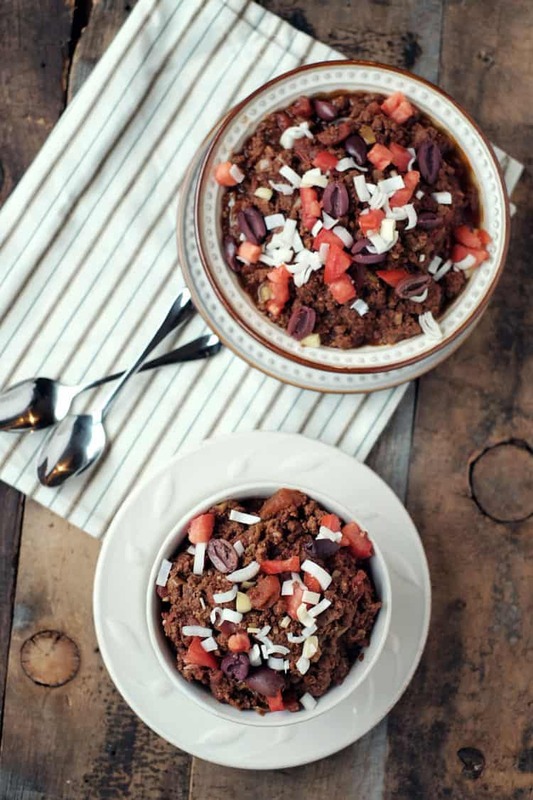 We used ground elk and sausage to give this chili a meaty disposition and let it cook all day in our crockpot so all the flavors could slowly melt together. We had the ground elk on hand but you could substitute ground beef or bison if you don’t have any elk meat. 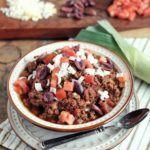 This chili is so easy to make, just toss all of the ingredients in the crockpot and let it cook on low for 8 hours. It seriously takes only about 5 minutes to put everything together and comes out tasting like you slaved over a boiling pot for hours. You could get creative with the toppings and add some chopped onions, avocado, olives, or tomatoes if you want. Or you could keep it simple and just scoop it up and eat it as is. If you do try out this recipe, we’d love to know what you think so make sure you leave a comment below or add in your rating. Also, take a picture and tag it on Instagram #realsimplegood so we can check it out! Place all of the chili ingredients in the crockpot. Mix everything together well with a spoon to distribute the spices evenly. Scoop into a bowl and add on any toppings you want. Enjoy! Meat before adding to crockpot. We don’t brown the elk and sausage before placing in the crockpot, although you definitely could. When we created this recipe, we were often short on time, so instead of browning the meats we would just place them in the crockpot and then use a spoon to break up the meat a bit and distribute the seasonings before setting the crockpot to cook. 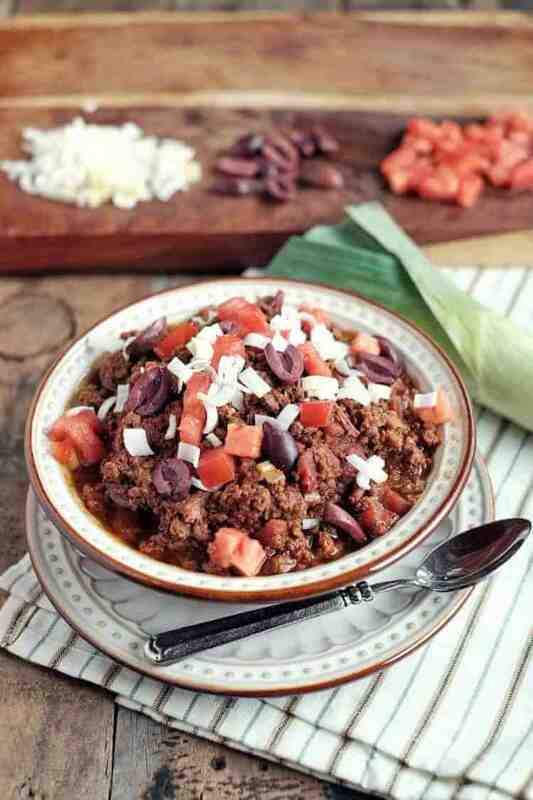 You’ll end up with a little more chunky chili not browning beforehand, so do whichever way works best for you! Thanks for visiting. We hope you enjoy the recipe! We made this this past weekend in the Instapot. It was amazing and so incredibly easy. Will make over and over!! Thank you.